A good freelance portfolio is a crucial tool to your success as a freelancer. Here’s our 5-step system to building one that’ll bag you more money and clients. Follow these basic principles and you’ll have a freelance portfolio that’ll bag you clients. To create one, you just need two things: A domain name and a website builder. There are many sites out there where you can purchase a domain name. My suggestion: Hover. It has an easy to use interface and provides many affordable domain names. A perfect domain for handsome content marketers. Just use your regular name for your domain. Later as you get more clients and worry more about your brand, you can revisit your domain name. But for now, your regular name will do. Google Domains. No-nonsense, easy to use domain registrar. Prices starting at $12 / year for a .com. Namecheap. Domains as cheap as their domain suggests — with some as low as $0.88/year. A .com will run you about $12 / year. GoDaddy. A tried-and-true domain registrar. A typical .com there runs for around $12 / year. Thanks to website builders, you don’t need to know a bunch of coding knowledge to create your portfolio. Though the builder you go with might depend on your goals, I suggest WordPress. It’s an incredibly powerful website platform that allows for a lot of customization. Wix. Easy to use with a lot of customizable features for your website. Squarespace. Good for showcasing images and graphics. Highly customizable. Weebly. A ton of great site designs to showcase your portfolio. For more on creating a website, be sure to check out this article on the topic from our sister site GrowthLab. Once you’re done creating it, it’s time to move on to the next step. Your portfolio is your opportunity to showcase to the world the type of freelancer you want to be even if you don’t necessarily have experience. Let’s say you work a regular 9-to-5 job but dream of becoming a freelance writer one day. Your freelance portfolio website should be dedicated to all the work you do as a writer. Great start. But then you need to niche down your market. If you want to be a writer, ask yourself: How do I want to position myself as a writer? Copywriter? Content marketer? Blogger? And who are you writing for? And don’t worry. If you try something out and don’t find it’s a good fit for you (or your wallet), you can always change your roles. That’s the beauty of freelancing. Brian loved to make films — so much so that he enrolled in film school. But halfway through he realized he didn’t have a clue on how to turn his passion into a profitable business. He understood the technical and artistic side of filmmaking, but he didn’t know how to sell his skills. So he decided to invest in himself by joining Earn1K, our course on freelancing and earning money on the side. He was able to book six clients within a few months. Three of them were people he didn’t know! With each wedding he filmed, he gained a better sense of how many weddings he needed to book in order to turn a profit and how he could better market his hustle. Brian niched down his passion of filmmaking into a marketable product of filming high-end wedding videos. By doing so, he turned his hobby into a side hustle earning him thousands of dollars each month. Once you do the same with your hustle and freelance portfolio, it’s time to actually put samples of your work online for prospective clients to see. This is the core of your portfolio. It’s your opportunity to show potential clients why you’re the right freelancer to hire through work you’ve already done. Here’s where a beginner freelancer will run into the Job Seeker’s Paradox. Where are you going to find examples of your work to get clients if you’ve never had any work? Create new work for yourself. Maybe you’re transitioning to a new line of work. Maybe you’re just starting your freelance career from scratch. There’s no reason you can’t create new or mock clips to showcase your skills. That’s exactly what one of our students, Heidi, did when she crafted a fashion design portfolio that helped her break into the industry. You can do the same for your industry. For example, if you’re a copywriter looking to land nonprofit clients, you might create a 700-word donation email to show your skills. Really gunning to write for finance blogs? Write a few blog posts based on financial news. Or maybe you’re a graphic designer looking for big name commercial clients. You might create a flashy ad for Coca-Cola or Nike. In fact, there’s a whole community of people who create unsolicited redesigns for just this purpose. Having work to show at all is much more important than whether or not they come from a job with an actual client. Now it’s an oft-touted rule that if you’re good at something, you never do it for free. I’m here to say forget that rule. Instead, reframe: It’s totally fine to work for free if you’re working for the right people. The most important thing for you at the beginning stages of your freelance career is for you to build relationships with clients who can open the door to more opportunities. That means you can work for free with people who are trusted and highly networked in exchange for glowing testimonials or referrals to new clients. For more on this, check out our article on the topic. The work you show is the work you will get. If you want to do email marketing, showcase stellar emails you’ve written. If you want to develop apps, link to the apps and software you’ve created. Now it’s time to let people know how to find you. Your portfolio should always include a place for potential clients to contact you via a call to action. This can be on a separate contact page or something as simple as including your name and email address at the top of the portfolio. If you like what you see here, I’d love to work with you. Reach out to me at tony@tonysfreelancingbiz.fake with your inquiry and I’ll get back to you soon. Many website builders such as WordPress and Squarespace include extensions that allow you to create your own contact page that’ll redirect to your email. The most important thing is to include your CTA somewhere the client can easily find it. Don’t bury it amongst your clips and sample. Just put it at the top of the page or sidebar and you’re golden. This is a completely optional step as your work can speak for itself — however, having a positive testimonial on your portfolio can give you the social proof you need to get new clients. A testimonial is a review from previous clients and people you’ve worked with endorsing your work. Think of them like the praise you see from other authors on a book cover. And just like your work samples, feature testimonials from the kinds of clients you want again in the future. Subj: Can I quote you for my site? Thrilled to hear you’re doing so well with the company and the new direction. Direct. This email is simple and gets to the point. Don’t bog busy people down with things that don’t matter. Keep focused on what you’re asking them for (note the subject line). Friendly. While the message is focused, it’s friendly. Remember, you’re talking to another person here. 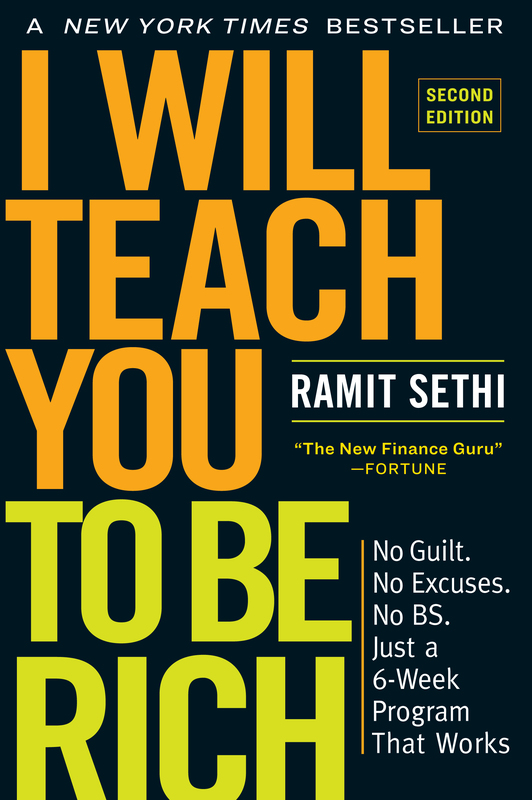 That’s why Ramit opened with “Hey dude.” Should you use the same wording? Hell no. But you should keep it casual. Easy. Ramit made this easy for the person to say yes by including a pre-written testimonial in the email. All they have to do is give the thumbs up. This improves the chances of them responding positively. While not 100% necessary, a good testimonial can be a very powerful game changer for getting clients. For more information on getting testimonials, check out GrowthLab’s video on the topic below. Now that you know how to make a great freelance portfolio, it’s time to take a look at some GREAT ones. Below are six examples of freelance portfolios from IWT readers. Notice that a few of them bend and break the steps we outlined — which is okay! Not all of the elements we talked about above are going to apply to everyone. This is a great example of a portfolio that clearly showcases a niche. Nick is a writer for B2B publications and that’s shown through his clips and “About” page. It can be tough for writers to provide visuals for their portfolio — but Nick is able to get around that by showcasing the magazine covers that have featured him. This graphic design portfolio works exceptionally well by leaning heavily on the visuals that reflect Greg’s quirky, off-beat style. Within just a few seconds of scrolling, you know exactly the kind of work and style he produces — which is a great thing for prospective clients. Rick does something wonderful in his portfolio: He leads with the goods. The first thing you see when you hop into his portfolio is a demo reel of different video shoots he’s done. That’s exactly what you want when you’re a potential client looking for a good videographer. He also ends the page with a great call-to-action for people to contact him. Great portfolio that tells you exactly what the freelancer does up top: Adam is a front-end developer based in San Diego. And it goes on to provide case studies of different projects he’s worked on and ends strong with a call-to-action with different ways you can contact him. Who says only writers, designers, and developers can be freelancers? Here’s a great example of how the principles for a good portfolio can apply to tap dancing. Andrew showcases his skills by providing links to different videos and performances he’s done. Also, his website is very simple and straightforward. Much like our tap dancer, Greg takes the principles for creating a great portfolio and uses them for his off-beat hustle — designing drills for marching bands. By providing YouTube videos to his drills on one page, prospective clients can easily get a sense of the work he produces. Simple, straightforward, and effective. A good portfolio is an essential tool for any freelancer … but it doesn’t stop there. You still need to find clients and work. After all, without work, your online freelance portfolio is just a glorified business card. So to help you find your first clients, we have a gift for you: The Ultimate Guide to Making Money. Download a FREE copy of the Ultimate Guide today by entering your name and email below — and jumpstart your hustle today. Love this. Can't wait to start using this system! Rephrasing for higher likelihood of success: tomorrow morning when I wake up at4:30am (an hour earlier than my kids usually do), I'm going to use these steps to make progress on the verbiage on my website that still is under construction and needs some TLC. I'll report back tomorrow!